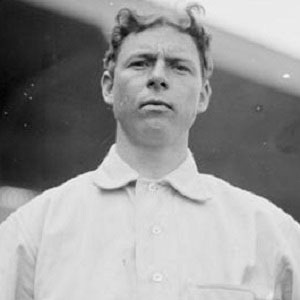 Dominant Hall of Fame pitcher in the MLB and two-time World Series Champion with the Chicago Cubs in 1907 and 1908. He worked in a coal mine before entering the major leagues. He lost parts of two fingers in an accident, but became an elite pitcher with an exceptional curve ball. He married Sarah Burgham on December 17, 1903. Fellow Hall of Famer Ryne Sandberg also starred for the Chicago Cubs.